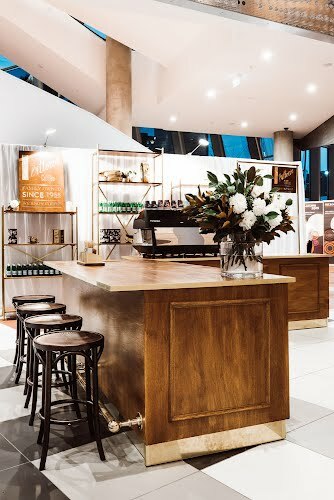 Mobile cafe design and manufacture. 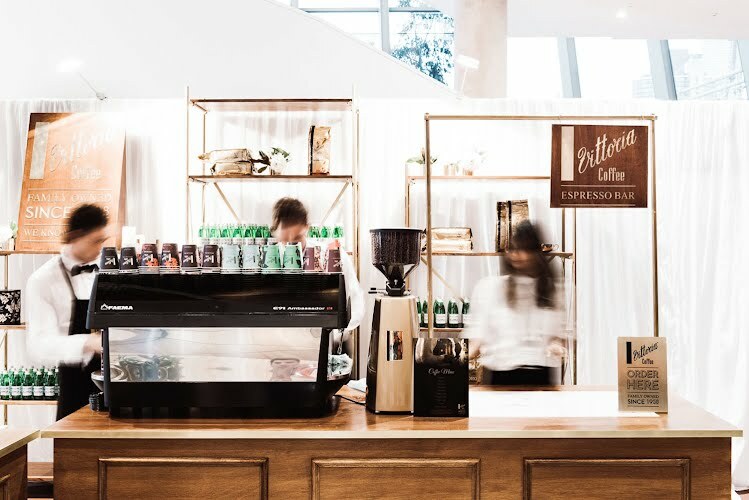 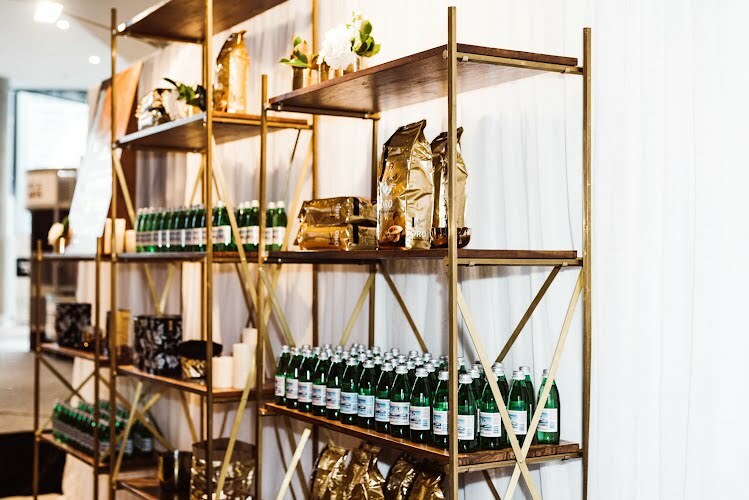 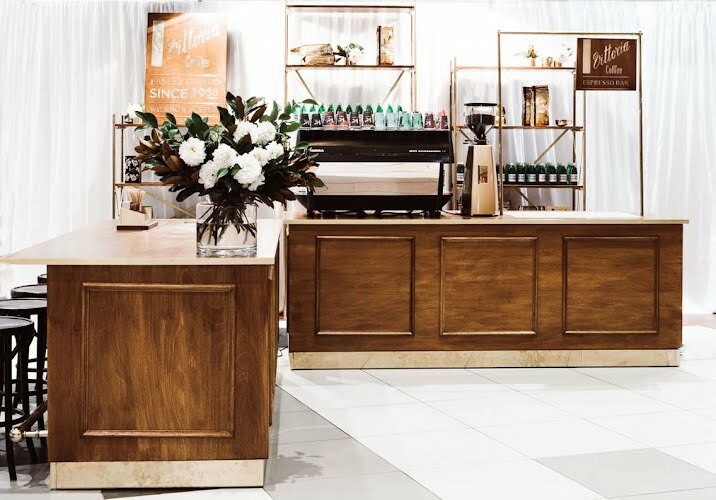 Moth were engaged to design and build a mobile coffee cart, seating bench and product display shelving to form a versatile pop up cafe for ongoing use at events. 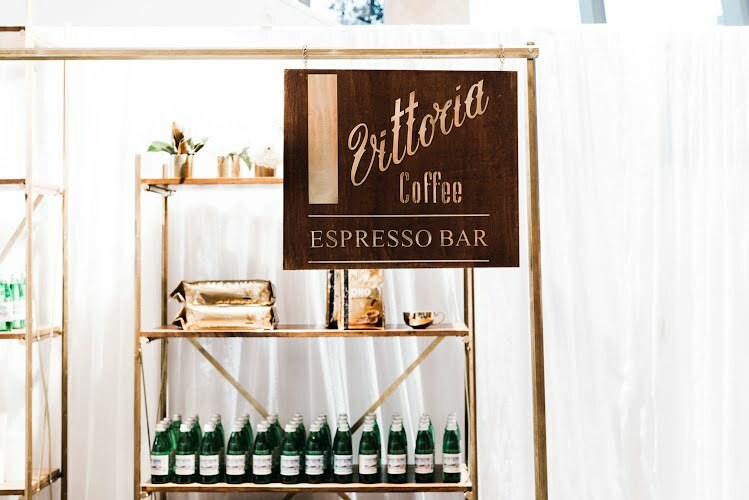 The cafe featured a classic pallete of brass, stained hardwood and marble to reflect the tradition and quality of the brand.